HARTFORD, Ct. (CN) — Connecticut skews left on the political spectrum, but the objective unpopularity of the outgoing Governor Dannel P. Malloy could portend tough winds Tuesday for the much-ballyhooed blue wave. In 2010, the last time Connecticut had a Republican primary for governor, three candidates divided up about 120,000 votes. If the same number of voters cast ballots in Tuesday’s five-way primary, the winner may need just 25,000 votes to move on to the general election in November. Turnout for the race could be higher, however, given Global Strategies Group’s finding that the Democratic Malloy is more unpopular than President Donald Trump. Those competing for Malloy’s seat on the Republican side are Danbury Mayor Mark Boughton, who has run at least three times for the job; Tim Herbst, the former first selectman of Trumbull; Steve Obsitnik, a retired Naval officer and businessman; Bob Stefanowski, a former GE executive; and David Stemerman, who sold his hedge fund to run for the seat. Apart from Stemerman and Stefanowski who self-financed, the rest of the Republicans are participating in the public campaign-finance system, which means they each qualified for a $1.35 million grant after raising $250,000 in qualifying donations, each of which had to be under $100. On the Democratic Party side, members will get to decide between Ned Lamont, a former Greenwich cable executive who lost a 2006 U.S. Senate race to now-retired Senator Joe Lieberman, and Bridgeport Mayor Joe Ganim, who was convicted of taking more than a half-million dollars in bribes and kickbacks while leading one of the poorest cities in the country. Ganim served seven years in federal prison but was re-elected to the mayor’s office by Bridgeport voters in 2015. Lamont, the endorsed Democratic candidate and the great-grandson of J.P. Morgan’s chief executive, is raising money and self-financing his campaign. In 2010, when he lost the Democratic nomination for governor, he spent about $9 million, mostly from his own coffers. This year he’s spent far less. Lamont has raised about $2.57 million, a majority of which came from a personal loan, and has spent about $1.6 million. About $1 million of that has gone toward television advertisements. As an ex-convict, Ganim is barred from participating in the public-financing system and has been forced to raise money on his own. He petitioned his way onto the ballot and has loaned his campaign $60,000 while raising nearly $740,000. He had spent about $246,000 of that as of the end of July. This is the first race in more than a decade for which no public polling was conducted. 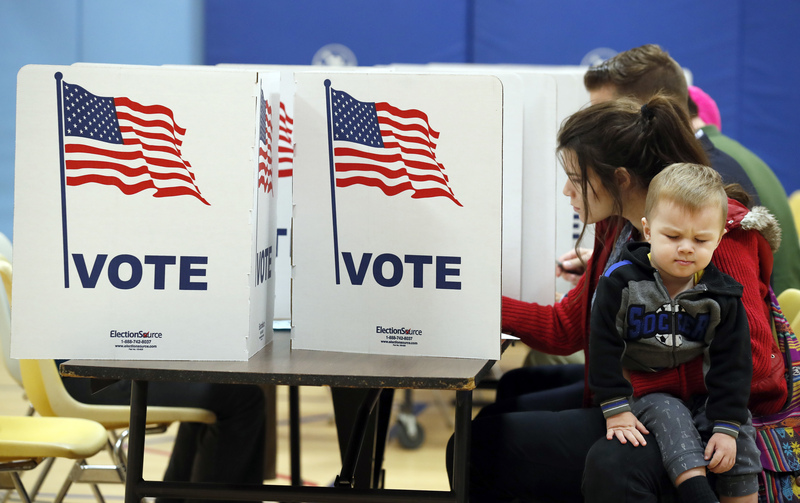 Quinnipiac University, which is located in Hamden, has declined to say why it stopped polling in Connecticut, but the lack of data has frustrated the campaigns. The gubernatorial candidates have been the only ones with the resources to conduct their own internal polls, but none of the candidates is releasing the information as the race has tightened. With the debates between the candidates all wrapped up, it’s anyone’s guess what will happen on Tuesday, Aug. 14. At the same time that Democratic candidates for statewide office are struggling with Malloy’s unpopularity, Connecticut has a reliably all-Democratic congressional delegation. And for the first time in years, the 5th Congressional District seat is open as it is being vacated by U.S. Rep. Elizabeth Esty. It’s the best chance Republicans have of regaining a seat in a reliably blue state, but the Center for Politics and the Cook Political Report are predicting that CD5 will stay in Democratic hands. The race is “likely Democratic,” but which Democratic candidate will get to move on to the November ballot remains to be seen. The race has the potential to be historic if Connecticut elects its first African-American woman to Congress in Jahana Hayes. Hayes, the 2016 national teacher of the year, is challenging former Simsbury First Selectman Mary Glassman. Glassman narrowly won the endorsement at the Democratic convention, but Hayes’ personal story of being a teenage mom, and working her way through school in order to become a teacher, has helped her eclipse Glassman’s initial fundraising advantage by a small margin. Hayes has received the endorsement of the Congressional Black Caucus PAC and has raised over $461,098. Glassman has raised over $457,234. Each Democratic fundraising total was about double that of the combined fundraising totals of the three Republican candidates seeking the seat. Manny Santos, the endorsed Republican candidate and former Meriden mayor, had raised just $25,000 through the end of July. Ruby Corby O’Neill, a retired psychology professor from Southbury, loaned her campaign about $81,300 and had raised about $39,223. Rich Dupont, a retired manufacturing consultant, loaned his campaign $45,000 and raised about $47,865. The 5th Congressional District is made up of 41 towns. There also are scores of candidates vying for state attorney general, treasurer, lieutenant governor and comptroller, as well as the U.S. Senate. The two Republicans seeking to run against U.S. Senator Chris Murphy have raised less than $200,000. Murphy has raised about $10.8 million since January 2017.